Rolawn’s range of lawn care products will help keep your lawn healthy and green. Rolawn is certified to BS EN ISO 9001:2015 and BS EN ISO 14001:2015. Slow release pre-turfing and seeding fertiliser that feeds turf and grass seed from the roots up. Bag size approx. 5kg. A blend of fine fescue grass seed for a lawn with an outstanding appearance. Shade & drought tolerant. 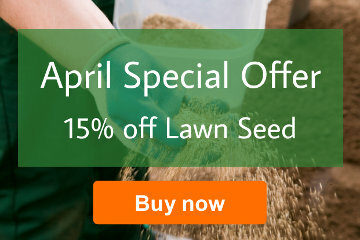 A superior blend of seed for a healthy, green and hardwearing lawn. Bag size approx. 20kg. Rolawn Lawn Seed is the same seed mix used to produce Rolawn turf. Suitable for overseeding or sowing a new lawn, it will introduce the highest rated cultivars giving a thicker, denser sward. Whether you are sowing a new lawn or overseeding an existing lawn, it is important to choose the right seed mix, both in terms of seed type and quality. 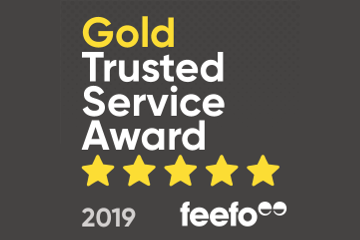 Your choice of seed will need to take into account the amount of traffic the lawn receives, the appearance you wish to achieve and the lawn's growing environment. For overseeding, try to identify the grass types already happily growing in the lawn as this will influence your choice of seed. There are a multitude of Lawn seed mixtures available in the market today, we classify ours into two general categories; high quality general purpose and ornamental. High quality general purpose lawn seed mixes, such as Rolawn Medallion® Premium Lawn Seed, are usually a blend of dwarf perennial ryegrass and fescue grasses. These give a rounded performance with ryegrasses being positive for wear resistance, tolerance of wet conditions and year round colour. Whilst fescues are positive for their fine appearance, slow growing nature, tolerance of dry conditions, and cleanliness of cut. Making a dwarf perennial ryegrass and fescue mix ideal for almost all lawns, especially those subject to higher wear and tear from family or pets. Luxury lawn seed mixes, such as Rolawn Minster Pro® Ornamental Lawn Seed, are a blend of fine bladed grass types such as chewings fescue and slender creeping red fescue. These are suitable for ornamental lawns which are not subject to excessive traffic. These seed types are slow growing and have been developed for low mowing heights. Shady lawn seed mixes are an area that needs consideration. Shade created by buildings, as you would find in north facing gardens, usually suffer from being too wet for too much of the year. This leads to thin poor grass quality. In this environment ryegrasses will perform better than most other seed types. Consequently, Rolawn Medallion Premium Lawn Seed would be your better choice. However, shade created by large trees and shrubs often results in poor grass growth due to not just the shade but also drought like conditions where a lawn is being starved of moisture and nutrients by underground root systems. Fescue grass types, as found in Rolawn Minster Pro Ornamental Lawn Seed, are deeper rooting and able to thrive with less nutrients and are consequently the better choice in this situation. As well as the type of seed, it is important to buy from a supplier who has invested in the highest quality seed. Cheaper grass seed mixtures sold for lawns may contain lower grade ryegrasses or fescues, or even coarser grasses which are not suitable for domestic lawns. Also, older seed is cheaper to buy but will have limited germination rates. Rolawn selects only the highest specification seed types, as confirmed by the Sports Turf Research Institute (STRI), the UK's leading independent body for the turf industry. In addition to which, the seed is batch tested to ensure consistent quality, germination rates and purity. For best results when laying turf or sowing lawn seed, use our unique mini granular slow release pre-turfing and seeding feed, GroGright® Lawn Establishment Fertiliser. This will help promote rapid root growth by ensuring the soil contains sufficient nutrients for a new lawn to establish as quickly as possible. 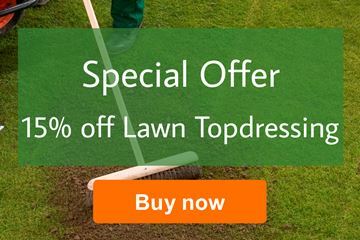 Applying Rolawn Lawn Topdressing will help to enhance your lawn's appearance by stimulating new grass growth. It will help to even out minor undulations, improve drainage and control the build-up of thatch. Information on caring for your lawn can be found in our Information Centre. 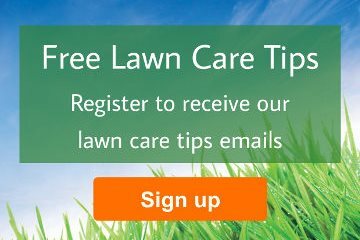 You can also sign up to our newsletter to receive our free lawn care tips via email.